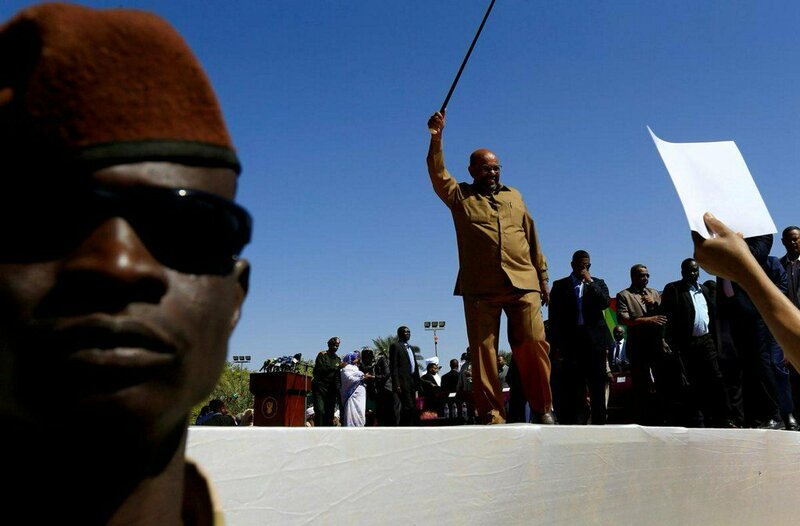 Sudan’s President Omar al-Bashir waves to his supporters during a rally at the Green Square in Khartoum, Sudan. Sudanese security forces used tear gas on Sunday to break up a crowd of hundreds of people, mostly young women, demonstrating against the detention of women arrested at previous protests, witnesses said. The protesters chanted: ‘Long live the struggle of Sudanese women’, and ‘Down, that’s it’, one of the main slogans calling for the fall of President Omar al-Bashir during protests that have swept Sudan since December 19.